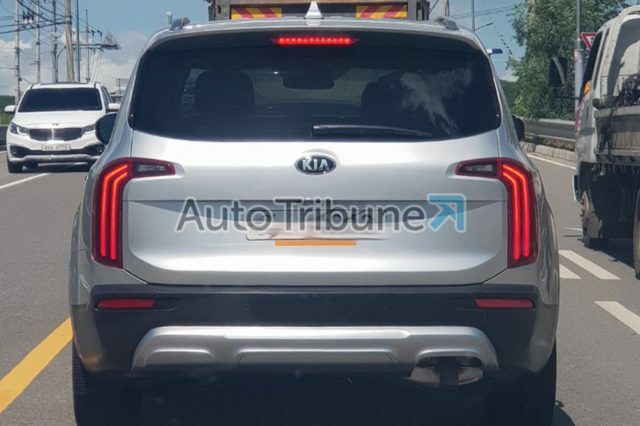 Kia’s all-new full-size SUV has been spotted once again, yet this time without any camouflage. This means that the official arrival can’t be too far. Moreover, we are pretty sure that the 2019 Kia Telluride won’t miss the upcoming 2018 Los Angeles Auto Show this November. 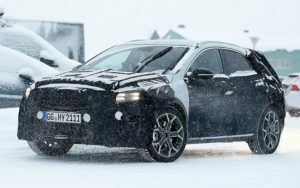 The large SUV is not going to available in North America only. We know that because the latest testing prototype has been spied in the Middle East. 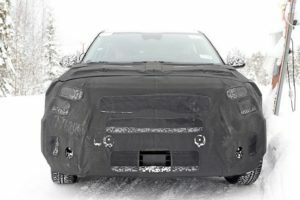 The uncovered Telluride prototype shows something we know without looking. 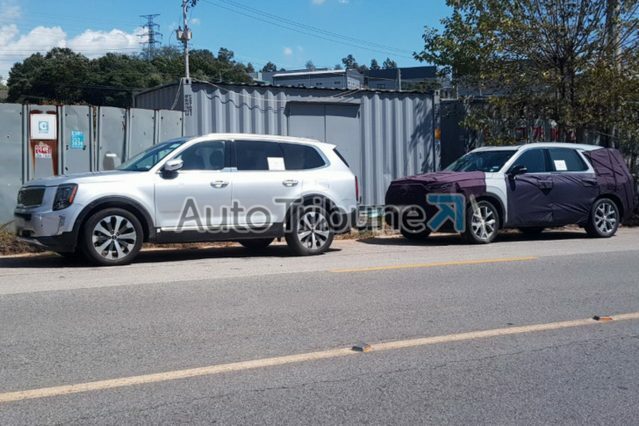 As you can see, the production version of the full-size SUV will largely resemble its concept. Meaning, the vehicle will maintain concept’s boxy shape and round edges. The front end hosts a wide grille and vertically oriented headlights and air intakes, as well as a silver skid plate. Around back, the 2019 Telluride will keep concept’s taillights, while the tailgate gets a totally new shape, which is also the case with a new rear bumper that lost concept’s interesting dual exhaust pipe layout. We can’t say much regarding the interior space of the three-row SUV, simply, because we still have no idea which platform is underpinning the 2019 Kia Telluride. The concept version, for instance, was paired with Sorento’s architecture. Now, according to the automaker, the production version is not going to use this one. Instead, it will reportedly ride on K900’s platform, which is not a bad idea at all. This way, the automaker could add an amazing twin-turbo 3.3-liter V6 under the hood. The unit delivers 365 hp and 376 pound-feet of twist and seems to be a perfect option for the flagship model. If the carmaker decides to use the same architecture as it did with the concept, then the model is going to get a turbocharged 2.0-liter four-cylinder engine that’s capable of delivering 235 horsepower and 260 pound-feet of torque. 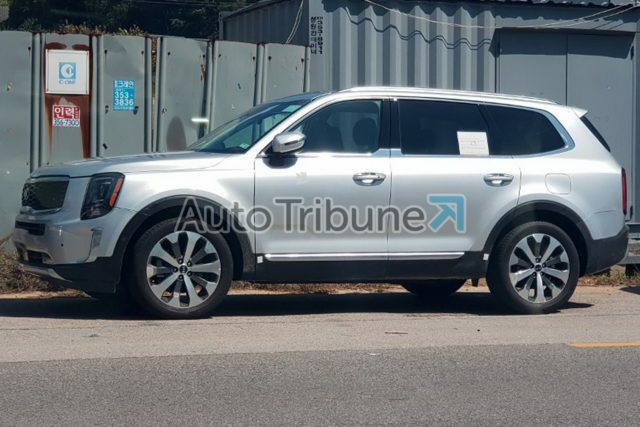 In that case, the 2019 Telluride may also use a plug-in hybrid powertrain with 400 horsepower. The system combines a 3.5-liter V6 engine and an electric motor.